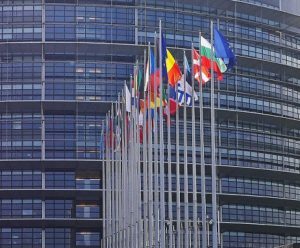 Anti-EU populist parties could do well enough in the coming European Parliament elections to “paralyse” the bloc in a range of policy areas, a pro-EU thinktank report warns. They predict that nationalist, euro-sceptic, and far-right parties could win around a third of seats. The elections will be held on May 23 to 26th when the Saturn Pluto conjunction has drawn closer. And the opening session of the newly elected parliament will be on July 2nd, the day of the Total Solar Eclipse which is exactly opposition the EU Sun. That usually indicates a crisis or at least a sharp prompt for change. The Eclipse located to Brussels puts disruptive Uranus on the IC and the New Moon on the Descendant, so significant events are likely. In addition the heavyweight Saturn Pluto is still together and there’s also an overly-optimistic (financially) Jupiter square Neptune. It will be a key point in EU’s destiny. 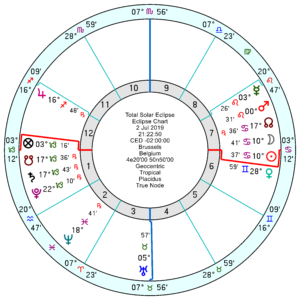 The EU 31 December 1957 11pm chart, has the devastating and confusing Solar Arc Pluto conjunct the 2nd house Neptune, exact to three minutes of a degree (one twentieth) at the time of the election. 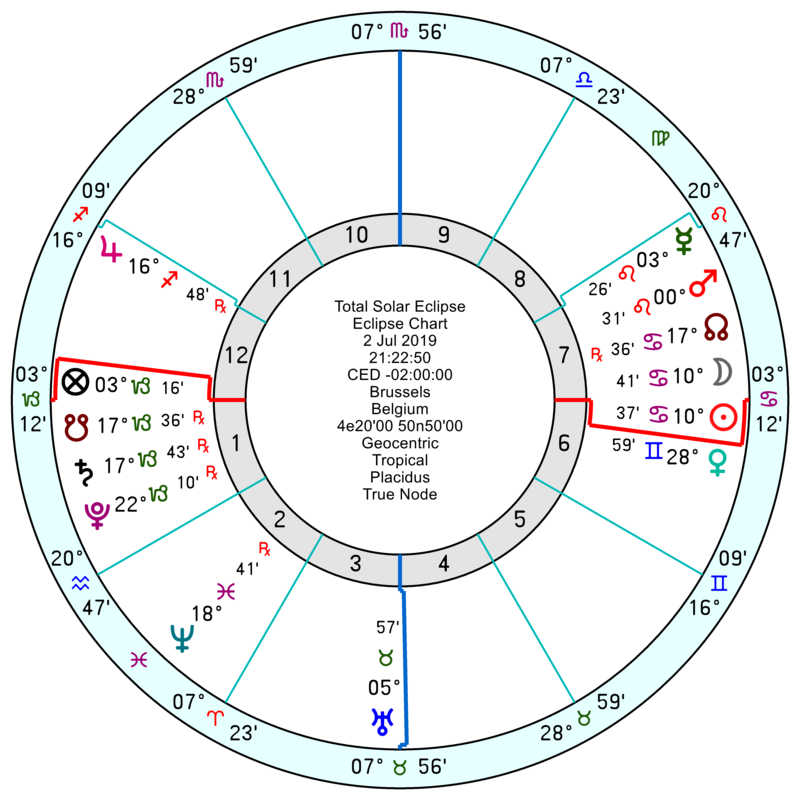 Though that may be a financial meltdown as well; with tr Uranus exactly opposition the EU Neptune as well, which is highly strung, can be fanatical, certainly not good for clear judgement. The Solar Arc MC is also moving to conjunct the 12th house Pluto five months later which could create blockages as well as shine light on behind-the-scenes dirty dealing and power-broking. Looking at some of the key players, it is – as ever (sigh) – not that clear about winners and losers. On the pro-federalist side: Martin Selmayr, who legend has it runs the EU, is looking deflated and out of sorts. Macron is running gently downhill into 2020 but has nothing much showing. Merkel has her life turning upside down with tr Pluto opposition her Uranus from April this year on till late 2020 as she stage manages her exit. On the other side: Matteo Salvini, the rabble-rousing Italian Deputy PM, is poised for major changes in May with tr Uranus conjunct his Solar Arc Sun exactly over the election; as well as tr Pluto square his Uranus; but less helpfully has tr Pluto conjunct his Solar Arc Neptune; and a complete muddle of tr Neptune conjunct his Solar Arc Jupiter which is conjunct his Sun – enormously high hopes and then the bubble bursts. Mind you that could be the Italian economy rather than the EU election result. 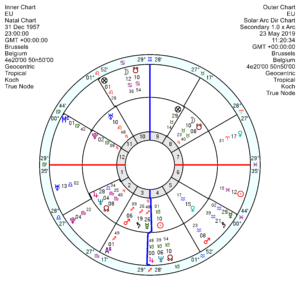 Steve Bannon, who has been doing the Grand European tour stoking up support for his wild and wayout schemes is jangled and tense with tr Uranus opposition his Saturn in Scorpio; intense and argumentative with tr Pluto conjunct his Mercury and again in the midst of far ranging changes in his life with tr Pluto square his Uranus. Viktor Orban, the dictatorial Hungarian PM, who would benefit from a populist, far-right bloc, isn’t looking exactly ecstatic either over the election or into 2020/21. I’d think it wouldn’t quite be the rout which is feared by the pro-EUers. Though the new parliament does look exceptionally fraught. Marjorie, an audacious thought. 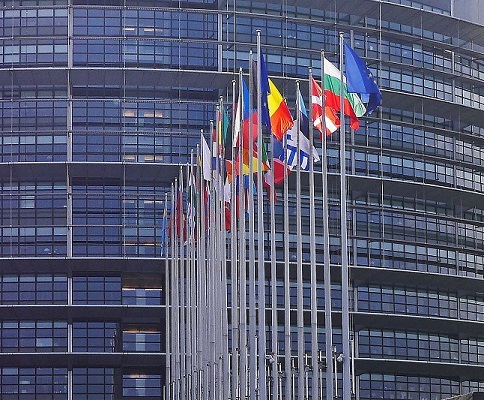 Do you think it is possible for a Eurosceptic to become European Commission President after the elections? I am thinking primarily of Marine Le Pen. President Le Pen of the Commission will certainly upset a fair few apple carts in Europe. Also, as I understand it, all the five presidencies in the EU (Commission, Parliament, Council, Bank & Eurogroup finance ministers) will be up for grabs this year. While the first two will be decided by the elections, the selection of the last two would have a major impact on the financial side of things. Interesting times. Has the european nationalist movement been inspired by Trump or was the movement inevitable? “If trump can do it, we can do it.” Thin thinking on my part but it’s my initial reaction. My opinion is that it was inevitable across the world. The progressive left pushed through major social change in the past twenty years around the world. Every revolution has a reaction. The more extreme the revolution, the stronger the reaction. The French revolution was followed by an Empire within fifteen years, the Russian revolution by Stalin within fifteen years. Gradual evolution like the UK (and to an extent the US) tends to have slower and weaker reactions. Think about the major social changes we have seen in the past twenty years. Normalisation of relationships outside marriage, redefinition of marriages and of gender, of individual rights being superior to that of society as a whole, etc. Trump and Brexit are mere manifestations of the inevitable reaction, as is AOC of the progressive left being told that that not everybody agrees with their values. 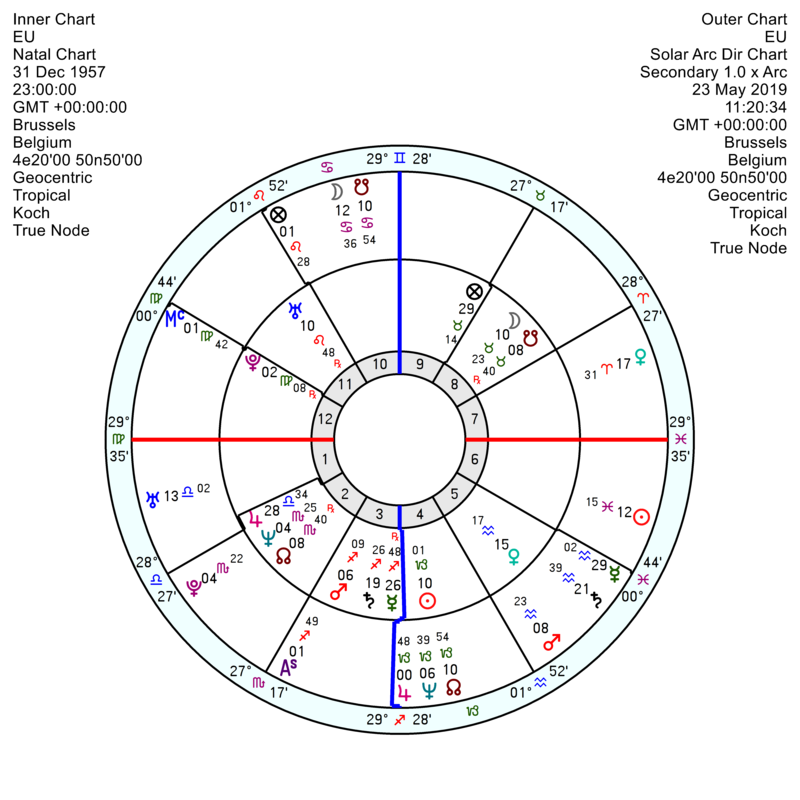 As an aside, Marjorie, can you look at Alexandra Ocacia-Cortez’s chart? I am interested if there are similarities with Trump’s chart. My opinion of her is that she is the Trump of the left. And two idiots on opposite sides do not cancel each other, they reinforce each other.